I’m reblogging an earlier blog post in honor of World Elephant Day. 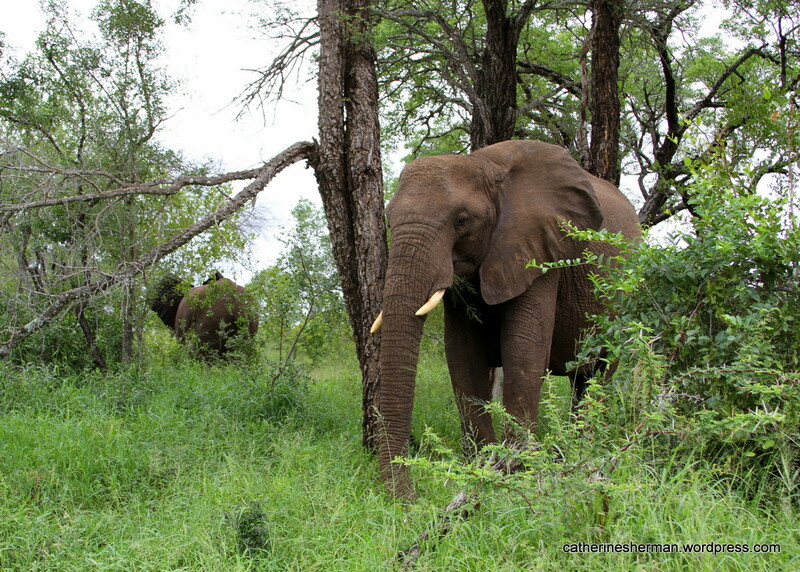 The post includes my husband’s video of about two dozen elephants moving quickly and silently through the forests in MalaMala Game Reserve in South Africa on their way into Kruger National Park in January 2013. Read the rest of the post by clicking on the link below “Elephants in the Mist”. 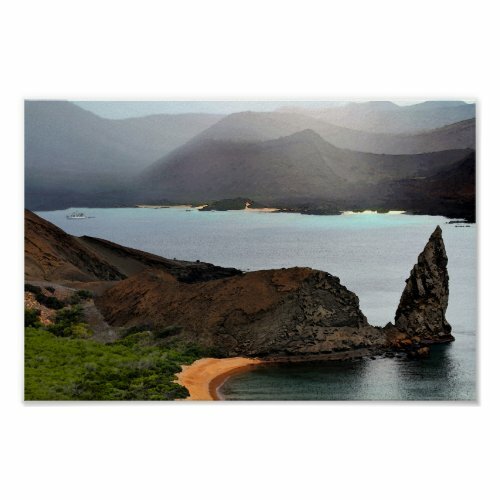 With a newly broken toe, I walked a long trail and climbed 374 steps to the summit of Bartolome Island, which is famous for Pinnacle Rock, a towering obelisk that rises from the shore and is the best known landmark in the Galapagos Islands of Ecuador. I’d broken my toe when I slipped on a wet boat deck, exhausted from snorkeling in deep water, but I wasn’t going to miss this view even though a storm was rolling in. It started to rainhard as our group made its way down. Amazingly my cameras weren’t damaged. My son took pity on me and carried my heavier camera, and we both protected them as best we could under our shirts. We’d left the camera bags in the boat. Photographs are powerful souvenirs from trips. When we look at a photo that we’ve taken, we remember so much more than what the photograph seems to reveal. We can relieve the whole experience. We remember the people we traveled with, even meals we ate that day, the weather, and in my case, the mishaps that occurred while I was taking the photos. Sometimes, it’s easier to remember the injuries than the many more times I escaped unscathed. Anyway, I’m not complaining, because every bug bite, black eye, bruise, scraped knee and broken bone was worth it. I’m lucky I didn’t fall from a cliff or attacked by a wild animal, as has happened to some photographers when they were engrossed in taking a photograph. I’ve had some close calls, such as encountering a tiger snake in Tasmania, Australia, while my friends and I were on a walk. I’m grateful for the opportunity to see and photograph so many wonderful places, animals and people. 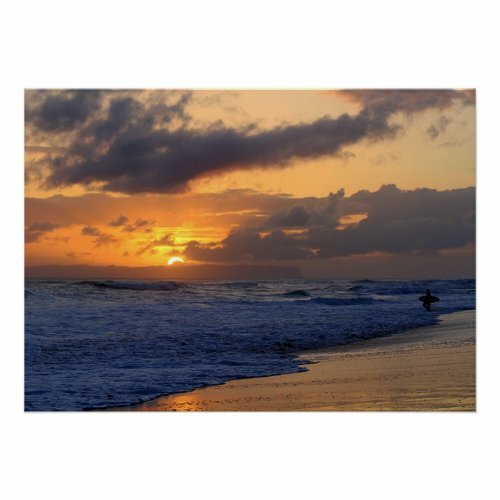 As we were driving along a highway in Kauai, Hawaii, my husband pointed out the surfers on this beach, so we stopped, where I took a lot of photographs, including this fabulous sunset over Niihau Island. 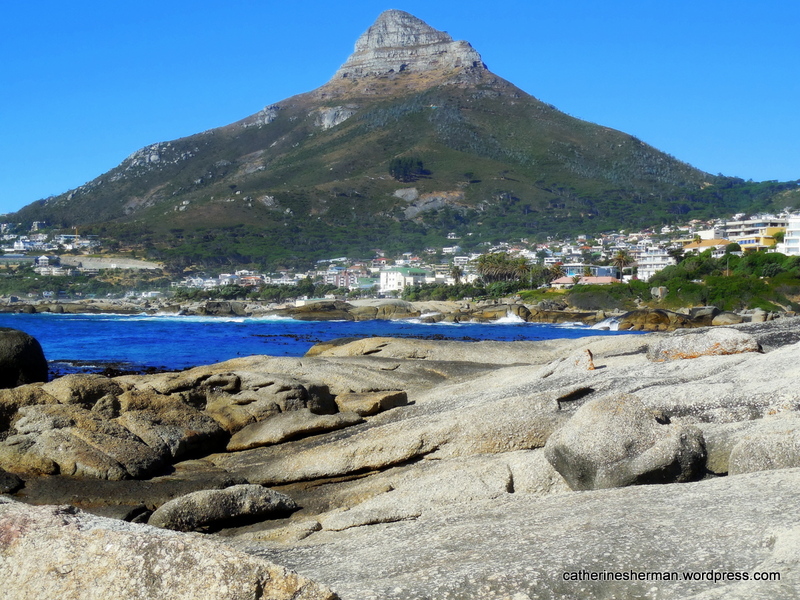 Afterward, as I was climbing up the rocks to the parking lot, holding a camera in each hand with the straps wrapped around my wrists, I lost my balance and fell on my face. I got a black eye. But I saved my cameras! And look at this photo! 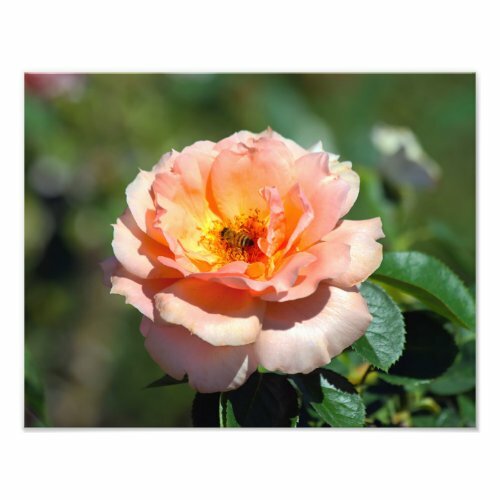 I was so intent on photographing roses at the Tyler Municipal Rose Garden during the Texas Rose Festival that I didn’t notice tiny ants crawling over my bare toes in sandals. The ants looked harmless, but they were fire ants. I brushed them off, but it was too late. Wow, their tiny stings hurt for days! Now I know why Texans favor cowboy boots. Cowboy boots are not just for riding horses. This is the most iconic view of Machu Picchu in Peru. 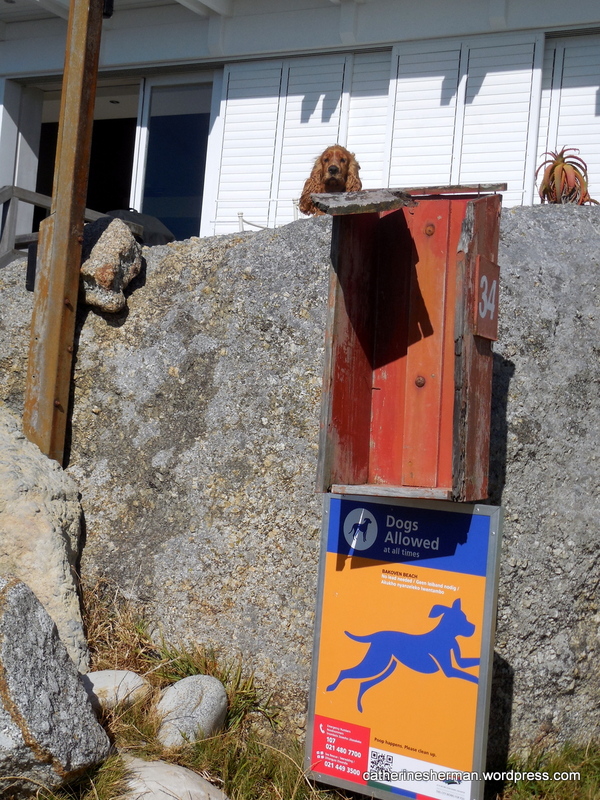 Even though I took a bus up a steep hill to the entrance, there were a lot of steps to reach this point. Normally, I could have easily walked it, but I was still weak from acute altitude sickness in Cusco, which is at an elevation of 11,152 feet. It was a relief to come down to 7,970 feet at Machu Picchu. I happy to make the journey to this magnificent place, even though I felt so weak. Somehow I managed to take a lot of photos! I have a scar on my knee from scraping my knee when I stepped into a hole at Squaw Creek Wildlife Refuge in Mound City, Missouri. I was hurrying to a viewing stand, not paying attention, and found myself on the ground. “Are you ok,” my friend asked as she helped me up. “More importantly, are your cameras ok?” she joked. My knee was scuffed up, but my cameras were fine! 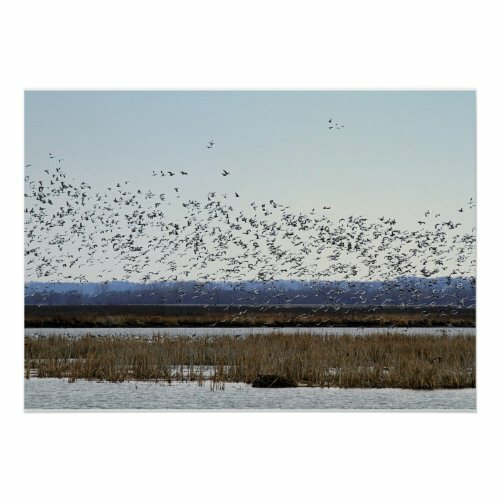 We were there to see the more than a million snow geese that visit the refuge as they migrate, shown in my photograph here. Seeing and hearing the rush of those birds as they lifted en masse into the air was a magnificent experience, worth the pain, although next time I’ll be more careful when I walk! 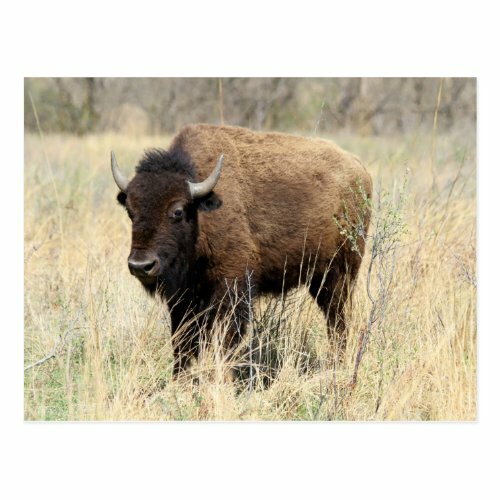 I got scratched by some dried weeds when I took this photograph of a bison cow at the Maxwell Wildlife Refuge in Kansas. (There was a tall fence between us, so no danger from the bison.) I thought the scratches were all that happened to me until a week later I felt what I thought was a scab on the back of my shoulder. I scratched at it. The scab started walking. It was a tick! I’m sure it crawled on me in that tall grass. For months after that, every time I felt tired or had a headache, I thought I had some kind of tick fever. I even got tested for it, rare for me. Results were negative. Phew! 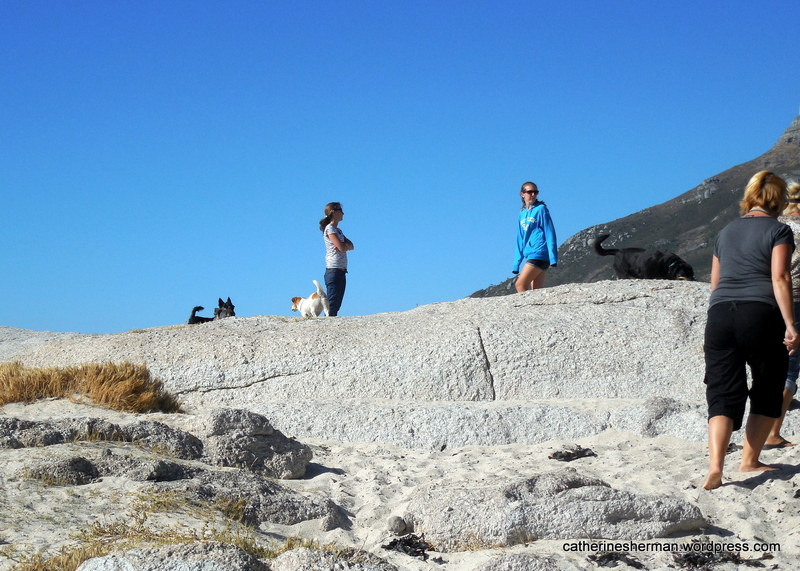 Sometimes, we venture into dangerous areas, where lions and leopards roam freely, and miraculously leave unscathed. 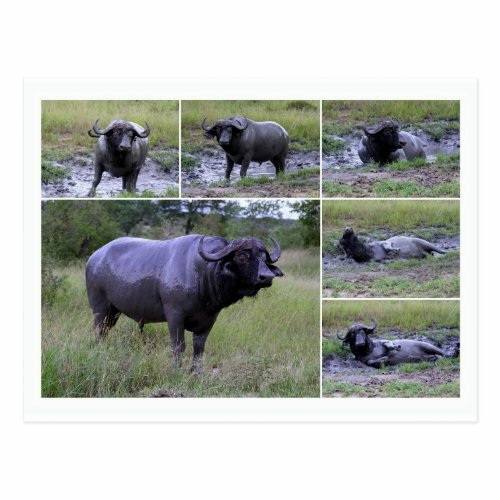 We watched as this Cape Buffalo Bull enjoyed a mud bath in Mala Mala Game Reserve in South Africa. Guess he didn’t like us spying on us, because after his bath he started our way. His buddy, who had taken the first bath, was watching us from the bushes. Fortunately, it was a stand-off . Our guide backed up the jeep, and we were out of there! Cape Buffalo are dangerous. They can gore you. My friend Anita recorded this encounter in Tasmania, Australia. I had a crazy notion that I wanted to pet a Tasmanian Devil. The keeper at NatureWorld held this young devil so I could have my wish. “Nice devil, devil,” I said as I stroked him. A young man also wanted to join in. The once calm devil jerked his head around, and growled. You can see the man’s hand pulling back in the bottom photo. I didn’t lose any fingers! Four of us were on a hike in Tasmania, when Anita saw this very poisonous tiger snake heading our way. For some crazy reason, my husband threw a stick near it, thinking he could scare it away, but that just provoked the snake, which reared up. You never saw four people run so fast in the other direction. We jumped in the car and hurried away. Because of the weather, the captain of our boat warned us that the trip along the Na Pali Coast of Kauai could be rough and said we could reschedule, but we only had two days left on the island. I’d never been seasick before. How bad could it be? Even though my husband and I took the recommended seasick pills, we both got sick. How sick? I used three buckets! TMI, I know. The swells were seventeen-feet high. We couldn’t even think of eating the sunset dinner buffet. The sun refused to come out from behind the clouds, and we had to put away our cameras, so we didn’t get any close photos of the humpback whales we saw. But it definitely was a memorable trip, even without beautiful photos. Here’s one of the videos I shot before the seas got really rough. You can see how gloomy it was. You can also see a humpback whale breaching in the distance. In the video above, about two dozen elephants move quickly and silently through the forests in MalaMala Game Reserve in South Africa on their way into Kruger National Park in January 2013 (Video by Mike L). On a misty morning in January 2013, our group climbed into a Land Rover for a game drive through MalaMala Game Reserve in South Africa. 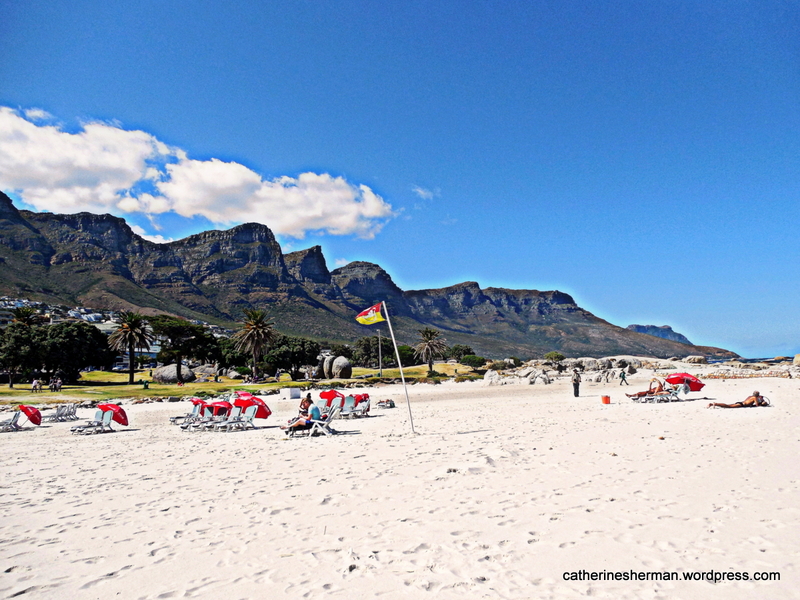 January is one of the rainiest months in this area of South Africa. That morning, we were lucky that it was only sporadically sprinkling. Birds were calling, but it was otherwise very quiet except for the rumble of the Land Rover’s engine. We never knew what we’d see. There was a surprise around every bend in the road. That morning we’d already seen a pride of lions lounging by a creek bed after a night of feasting (We’d seen some of the feasting, too). We rumbled along, feeling raindrops, scanning through the trees and in the clearings. Then we saw an elephant. Soon more appeared. About two dozen elephants of all sizes were moving very quickly in a line in the morning’s mist. The herd made no sound. A few elephants grabbed small leafy limbs to eat as they passed through the forest. It was an awe-inspiring sight. We watched them for about ten minutes until they disappeared into Kruger National Park. 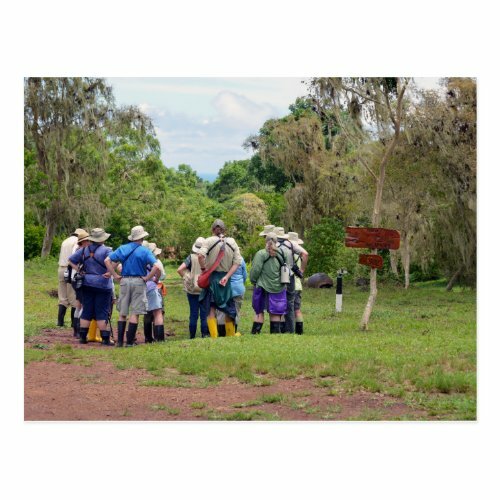 Moses, our guide, explained that the elephants could walk so silently because their circular feet are spongy with cushion pads, which also distribute the elephant’s weight. When I was a child racing around with other children, I used to hear adults say, “You sound like a herd of elephants.” Of course, the adults meant that we were thunderingly loud, because that’s what they expected such huge animals would sound like. Moses also explained how the size of the tusks vary a lot. However, no elephant, whether she or he has short or long tusks, is safe from the poachers, who even trespass into protected areas. I knew elephants were endangered, but I had no idea how much slaughter was happening until I got home and start seeing so many stories about massive poaching, partly due to a loophole permitting artisans, mostly in Asia, to carve ivory for trinkets. Many are religious objects. These so-called religious objects are definitely unholy. DO NOT BUY IVORY, EVEN IF YOU ARE TOLD THAT IT’S LEGAL. THOSE WHO BUY IVORY ARE CONTRIBUTING TO THE DEATH AND POSSIBLE EXTINCTION OF ELEPHANTS. 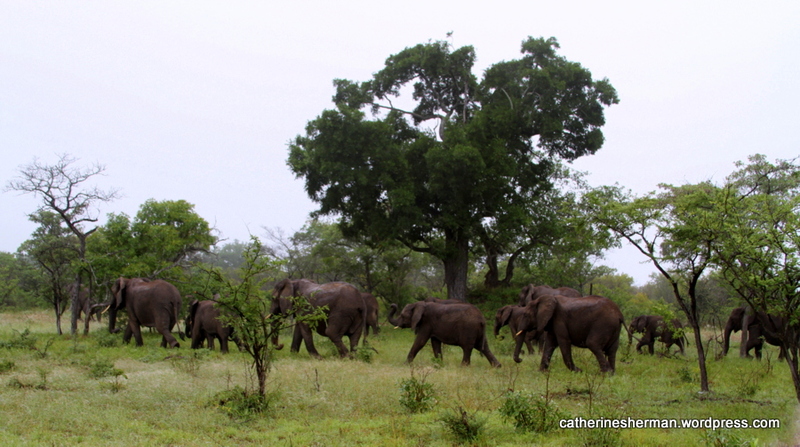 We saw this herd of elephants as it traveled out of MalaMala Game Reserve into neighboring Kruger National Park, South Africa, in January 2013. 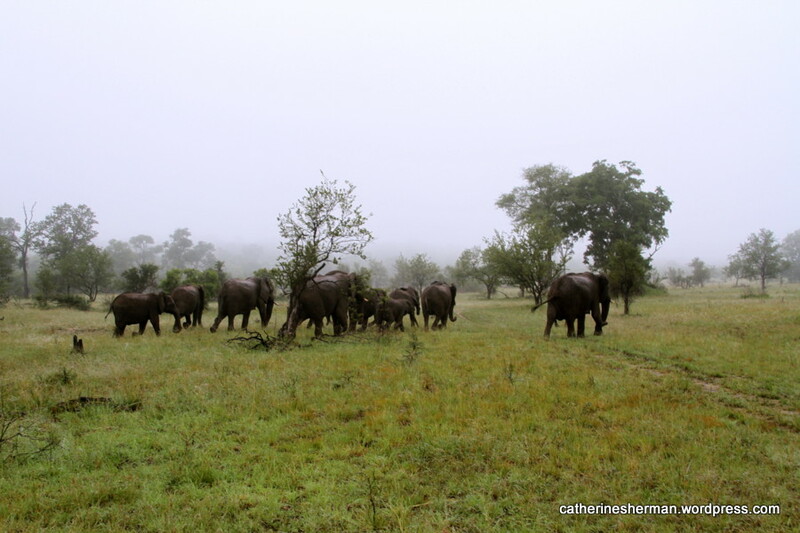 On a misty morning in January 2013, a herd of elephants in MalaMala Game Reserve moves quickly as it heads into Kruger National Park in South Africa. Elephants are highly endangered and are being slaughtered for their tusks. New York Times Article (3-17-13) Slaughter of the African Elephants. Smithsonian Magazine Articles and Videos about Elephants. National Geographic: A Voice for Elephants. National Geographic: Battle for the Elephants. New York Times Article: No Species is Safe from Burgeoning Wildlife Trade. Is this elephant dreaming of the delicious marula fruit as she eats grass at a game reserve in South Africa? I love fruit, but I’d never heard of marula fruit until a friend (Thanks, Anita!) introduced me to Amarula, a creamy liqueur made in Africa from fermented marula fruit. Fermented marula fruit makes a delicious drink when mixed with cream for humans in a liqueur called Amarula. Elephants will eat the fermented fruit, but it’s a myth that they’ll get drunk. They couldn’t eat enough to get inebriated. 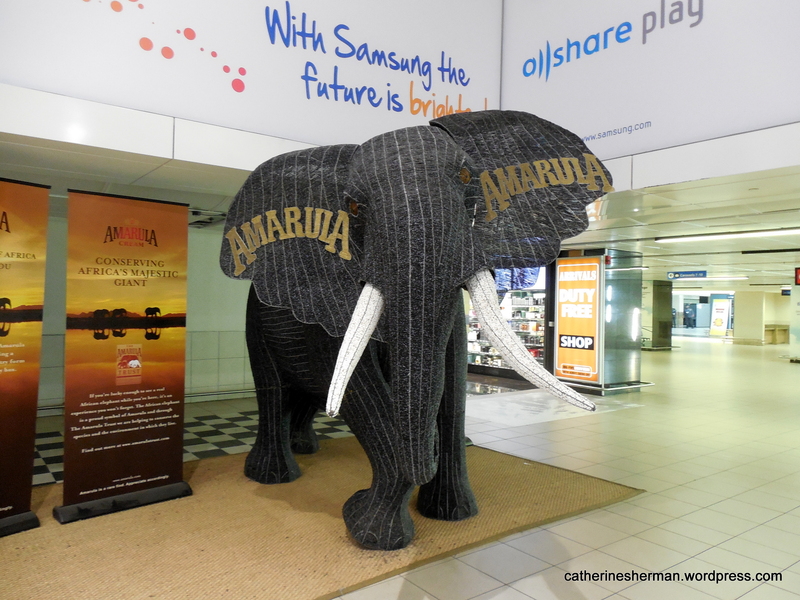 The Amarula Trust promotes Africa elephant protection and social development in Africa. This elephant sculpture is on display at the O.R. Tambo International Airport in Johannesburg, South Africa. Smithsonian Magazine: The Alcoholics of the Animal World. 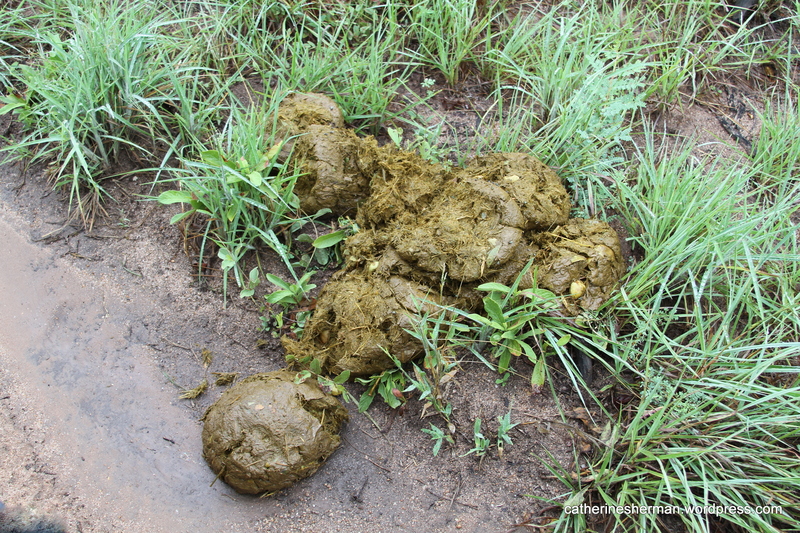 Elephants like to eat marula fruit, but much of what elephants eat is not fully digested. Here, some marula nuts have passed through an elephant. 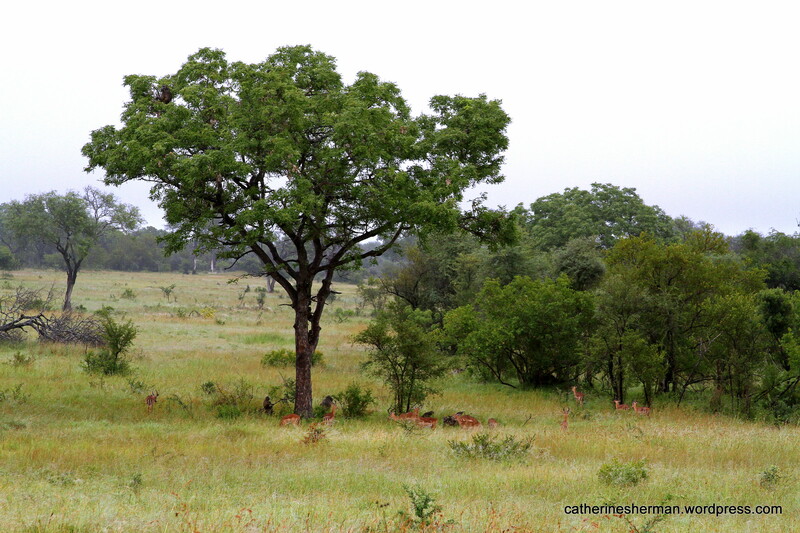 The surviving marula fruits might be eaten by other animals or germinate into new trees. While the elephants don’t get soused from fermented fruits, elephants are among the many species that enjoy the versatile marula fruit for its flesh and its nut, which is full of protein. 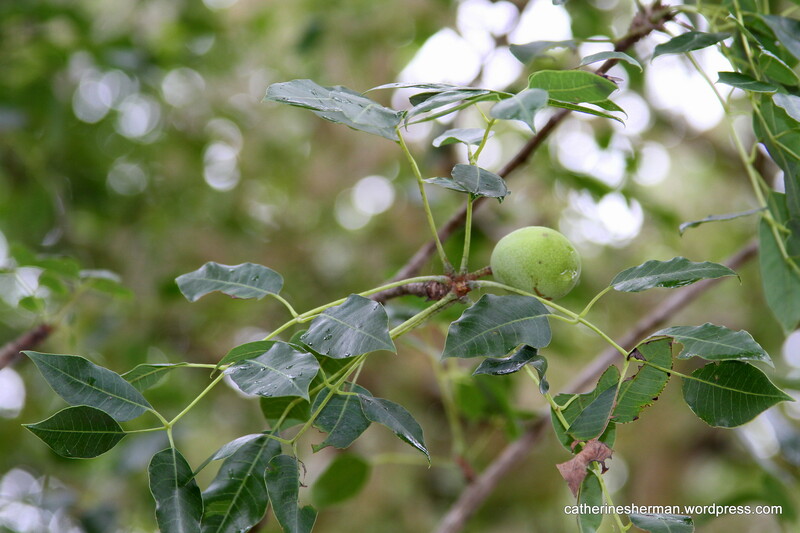 The marula fruit and its nut have been important source of nutrition in Africa for eons. The fruit has eight times the Vitamin C of an orange, too. Among the animals that eat the marula fruit and nut are antelopes, including impalas, kudus and nyalas. Baboons, warthogs, zebras, porcupines, vervet monkeys, small mammals and even millipedes also feed on the marula, which belongs to the same plant family Anacardiaceae as the mango, cashew, pistachio and sumac. Browsing animals eat the leaves. Marula nut oil is also supposed to have rejuvenating effect on your skin, so the marula can give you a glow both inside and out. About the Marula Tree and Fruit. About Marula Oil for Your Skin. While reading this post I recommend an Amarula cocktail, which has a mild creamy citrus flavor. If you can’t find Amarula, you can sip Bailey’s Irish Cream or Kahlua. Drink responsibly, of course! Pour vodka and Amarula liqueur over ice cubes in an old-fashioned glass. Fill with light cream and serve. For other recipes. click on Cocktail Recipes. In a game reserve in South Africa, baboons congregate in and under a marula tree to eat the marula fruit. Impala antelope stand under the tree to eat the dropped fruit. Click on the photo to get a better view. The long-time belief that elephants and other animals get drunk on fermented marula fruit was popularized in the 1974 documentary “Animals are Beautiful People.” Some smaller animals can get drunk from fermented fruit, but people have claimed that the supposedly drunkenness of the animals from fermented marula was staged in the movie, after alcohol had been added to their food. If so, that’s animal abuse. The narration is over the top, too, but the video does show the types of animals that eat the marula fruit. It also shows elephants shaking marula trees to knock down the fruit. Scientific American: Do Animals Like to Get Drunk? The marula fruit on this tree will turn yellow when ripe. 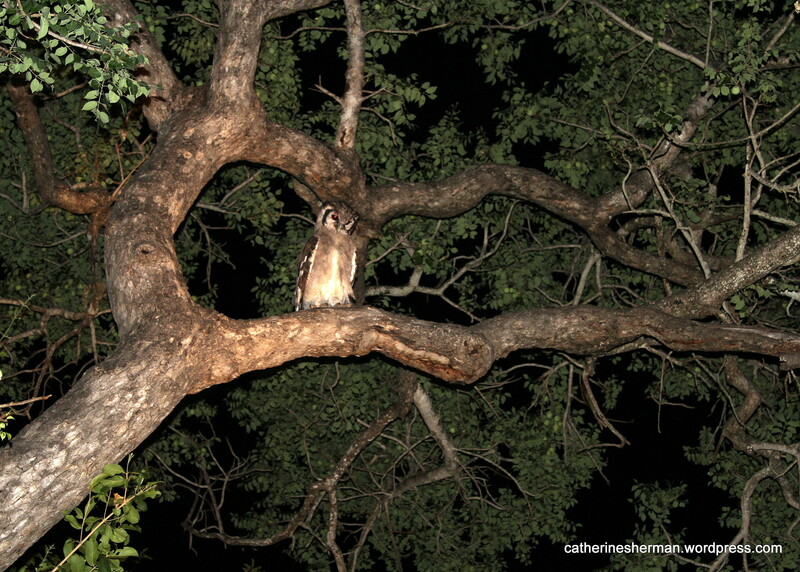 Owls don’t eat marula fruits, of course, but the branches make a handy perch. Perhaps some unsuspecting creature looking for fruit may become the owl’s dinner. 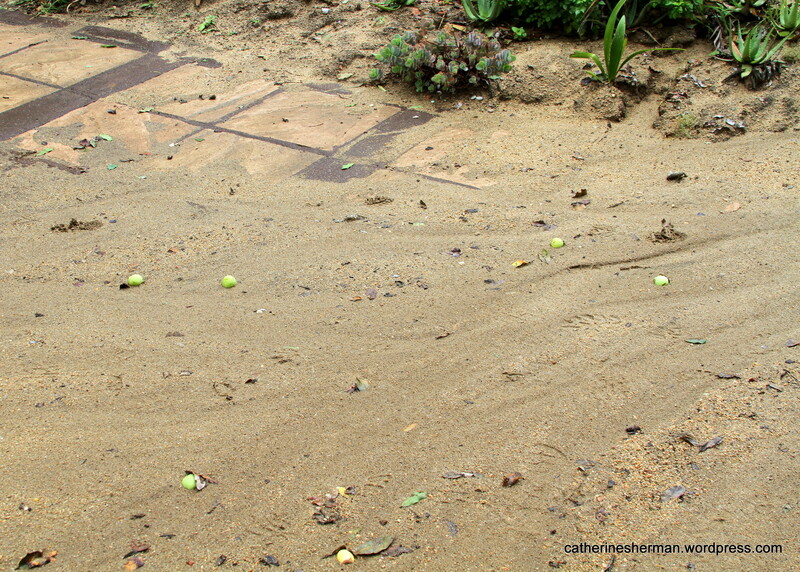 Marula fruit is washed along with sand over a walkway after a rainy night at the game reserve lodge where we stayed in January 2013. I’m going to be party pooper again by listing this new Study from the Boston University School of Public Health that shows links of alcohol to cancer. Darn it! This morning I was stunned to read that 57 rhinos had been killed by poachers in South Africa in January 2013. Nearly all of the rhinos were killed in protected areas, too. I knew that poaching was a terrible problem, but I had no idea that it was this serious. At this rate, the rhinoceros will soon go extinct in the wild. It will be very difficult to keep the species alive in zoos. We visited South Africa in January 2013 near the region where all of these rhinos were killed. We were lucky to see a rhino the very first day we were there, and now I am so saddened thinking about how this amazing animal may really die out, because of human greed and stupidity. 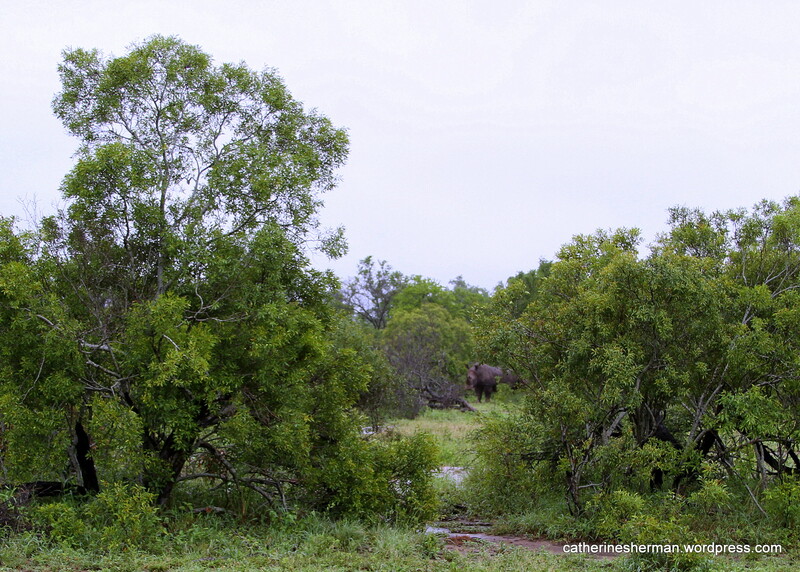 We saw a male rhino spraying, as in the video above, as he moved here and there marking his territory. Soon there may be no rhinos in this territory. (The video was uploaded by “smshapiro” on YouTube. 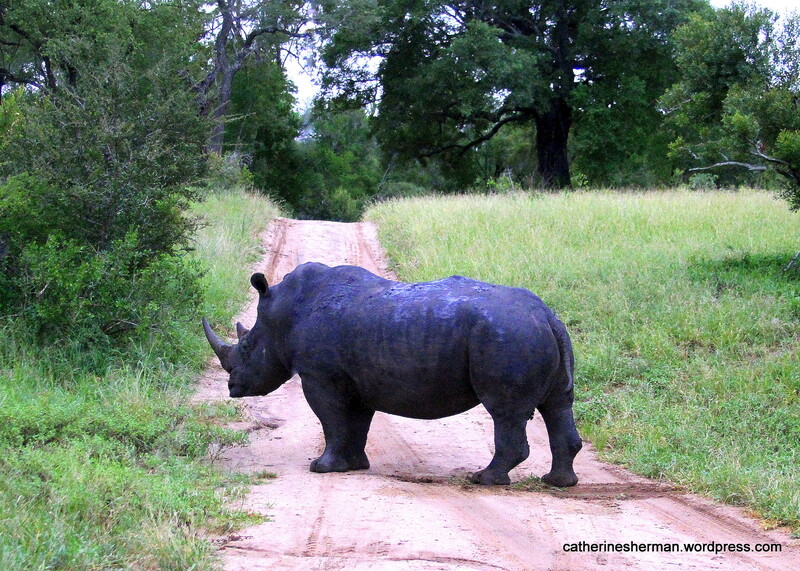 Why did the rhino cross the road? It was dusk when we saw this male rhino crossing the road, but he wasn’t ready to call it a night. He still had work to do. Every few minutes he would spray a fan of liquid from his rear to mark his territory. The Rhinoceros is critically endangered. Rhinos are being massively slaughtered for their horns to send to the Asian market for a ridiculous medical potion. The horn is keratin, the same as fingernails. Chew your own fingernails for your dubious medical cure, Idiots, and leave the rhino alone! The rhino is killed for its horn, because many people in Asia think the horn has medical properties, but it doesn’t. The horn is composed of keratin, which is similar to fingernails. Why don’t these idiots just chew on their own fingernails. It’ll be just as useful to their health. Our guide told us that sometimes conservationists remove the horn so that the rhino is spared, because all that the poachers want is the horn. The horn acquires its pointed shape because the rhino sharpens it, otherwise it would be a big lump. I hope the rhinos sharpen their horns on more poachers. Even though I don’t literally believe in curses, people who use rhino horn as medicine should know it is cursed. It’s definitely very bad karma to kill a rhino and to buy rhino horn. Elephants are facing similar slaughter for their ivory. 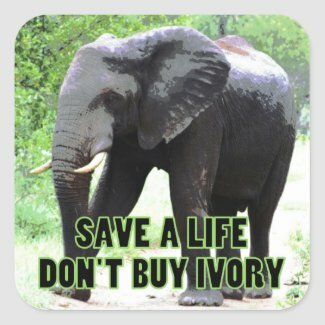 Don’t buy ivory, even if the seller claims it is from pre-ban ivory or is supposedly otherwise approved. Buying ivory just encourages the death of more elephants. More bad karma. Beautiful Photograph of a Baby Rhino. We saw this rhinoceros 100 feet from the road. It’s good that the rhino is hiding, even though I wanted a closer look. It’s not safe being around many humans. The Rhinoceros is critically endangered. It’s being slaughtered for its horn, and it’s also losing its habitat.